A tongue retaining device (TRD), the Good Morning Snore Solution (GMSS) keeps your tongue from blocking your airway to prevent snoring. 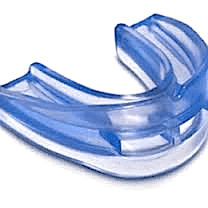 The ZQuiet, a mandibular advancement device (MAD) keeps your jaw thrust slightly forward to keep your airway clear. For my wife and me, each device functioned as advertised and stopped us from snoring. We favor the ZQuiet, despite my wife experiencing a slight fitting issue, due to ease of cleaning and price. However Good Morning Snore Solution is definitely a better option if you have bad allergies. Other than sore tongues for a few days, we eventually had no problems with the Good Morning Snore Solution. The ZQuiet felt comfortable and after the first night, neither of us experienced any soreness upon waking. Both turned out to be effective stop snoring mouthpieces. The soft and very pliable construction of the ZQuiet provides a very comfortable feel in your mouth. Your mouth opens slightly so if you are a mouth breather only you can use a ZQuiet. The ZQuiet fits a bit loosely but did not fall out of our mouths. The cleaning was the easiest part, just a toothbrush and a bit of soap each morning. We were surprised to find that when you order a ZQuiet you get two, one of each size. Fitting requires you to put each one in your mouth and decide which one feels better! Once I trimmed the plastic around my wife’s in order to provide her with a more snug fit, she reported hers felt wonderful. The ZQuiet, according to my wife and son, stopped all snoring sounds from coming out of my mouth. However, my wife was a bit disappointed that her snoring was not 100% gone. It was significantly reduced and I could barely hear her. My son in the next room reported hearing nothing though. The toothbrush and soap cleaning process took less than a minute or two. In contrast to some competitor’s brands that have lots of nooks and crannies, the ZQuiet’s one-piece construction made cleaning easy. The look of the Good Morning Snore Solution is a bit odd. The suction cup attaches to the tip of your tongue to keep it from flopping back in the throat. There is no mouthpiece to wear like there is with an MAD. Cleaning simply requires a glass, warm water and a denture tablet you can purchase at just about any drugstore. The GMSS comes in two sizes. I ordered a small for my wife and large for me. Mine fit perfectly right out of the box. However, my wife’s device was still too large so, as per the directions, I trimmed it a bit with scissors. Once I did so, she claimed it fit fine also. It felt strange wearing them at first with the suction cup attached to the tip of our tongues. We both believed they would fall out during the night but were pleasantly surprised when that did not happen. Since my tongue was a bit sore the first morning, the next night I tried squeezing the bulb less, even though I worried about it coming loose (it didn’t). That took care of the soreness as the next morning I felt great. My son reported no snoring sounds from the bedroom, and when I woke to put the dog out my wife was breathing soundlessly. One note of caution: my wife and I breathe through our mouths or nose. 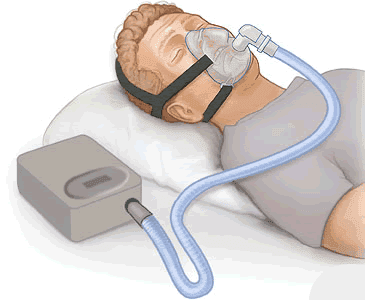 If you are a mouth breather only, you will not be able to use the GMSS since your mouth is kept shut with your tongue forward. The GMSS and the ZQuiet, during our trial of several weeks each, kept us from snoring. True, the effect of the ZQuiet on my wife was not perfect, but for all intents and purposes, she did not make much noise and awoke refreshed. The price and simplicity of the cleaning regimen made the ZQuiet win out over the GMSS for us.